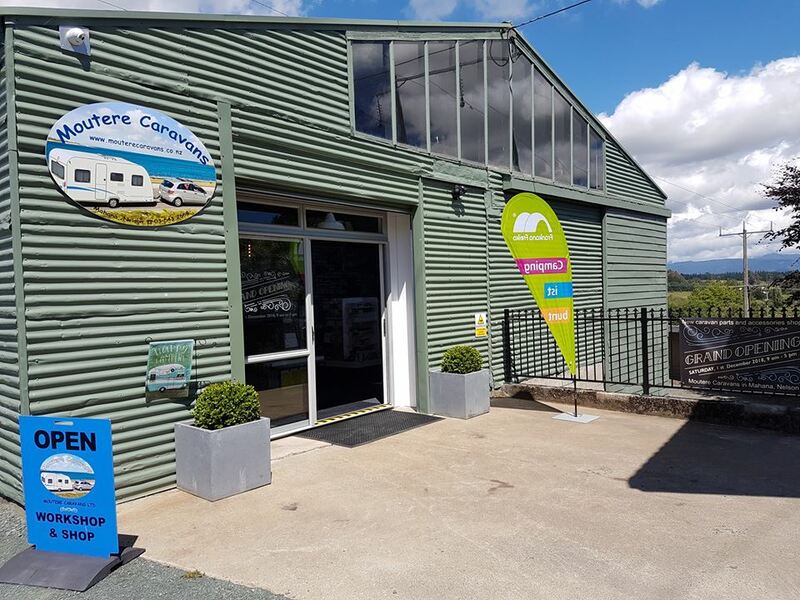 Welcome to Moutere Caravans- the Specialists for German caravans and caravan parts in New Zealand! Moutere Caravans sell great quality German built caravans imported from Switzerland as well as a huge range of caravan parts and genuine parts for German caravans. Moutere Caravans are the specialists for German built caravans and caravan parts and accessories in New Zealand. The family business is located in Mahana, Upper Moutere, Nelson. We offer huge product knowledge, outstanding Swiss customer service, believe in honesty and fair business and can offer great caravans at affordable prices. 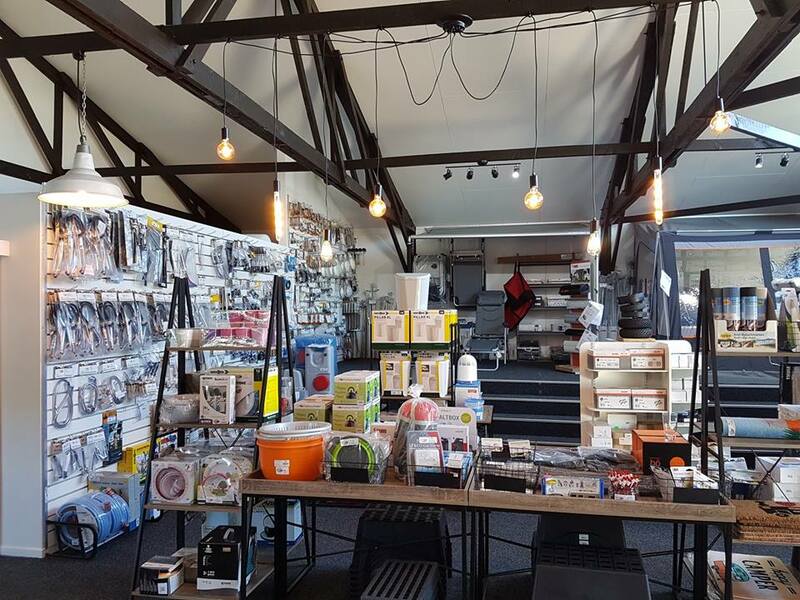 Moutere Caravans imports and sells a huge range of parts and accessories for European and German Caravans. Visit the Shop in Mahana! In addition Moutere Caravans in Mahana offer caravan repairs, maintenance and servicing in their own workshop. The caravans we have for sale are very modern in design, are double glazed, insulated and they come with a full awning. Buerstner, Dethleffs, Knaus, Hymer, Hobby, TEC, GEIST, LMC are a few of the German caravan brands we are the specialists for. These caravans offer a huge amount of comfort with their built in Thetford Cassette toilet and shower, the kitchen area and lots of storage space everywhere. All caravans comply with New Zealand standards and are sold with WOF, Electrical Warrant and Gas Certificate of Compliance, Registration and as an option can be Certified for Self Containment. We sell German built caravans imported from Switzerland. We focus on Quality German makes such as Bürstner, Hymer, TEC, Dethleffs and Knaus. From sourcing the caravans in Switzerland, organising the transport to doing the customs clearance here in New Zealand, we organise everything ourselves and always know exactly where our caravans are on their long journey to New Zealand. This means cutting out the middle man and we can therefore offer our caravans at fair prices. Once the caravans are here, Frank gets them ready for you. He is a qualified Swiss car mechanic with years of experience in the automotive and caravan sector in Switzerland and New Zealand and he also is a certified WOF inspector. Everything is done to a high standard and with attention to detail. The caravans all comply with New Zealand law and they have WOF, Electrical Warrant, Gas Certificate of Compliance and Registration. We are happy to organise the Self Containment Certificate for your caravan, too. You can be assured to buy excellent quality from us and receive outstanding customer service. If you are looking at buying a caravan and would like to see what we currently have for sale, please refer to the FOR SALE section of this website or contact us. Thank you. Please also click on the FACEBOOK BUTTON at the bottom of this page to like us on Facebook. You will find lots of updates, new arrivals and plenty of photos on our Facebook posts. Frank at Moutere Caravans offers a variety of caravan repairs and caravan servicing incl. work on caravan brakes and antisway couplings. He is specialised in German caravans but does repairwork on caravans of any brand and age. Whether you have a leaking tap, a broken window arm, a crack in your wall, need a roof vent or window replaced, want a service done or need any other damage repaired, he will be happy to have a look at your caravan. With many years of experience and being a qualified car mechanic and WOF inspector, he really knows what he is doing! No job is too small or too big for us! Just give us a call and we are happy to give you a quote for the job. We have a wide range of pipes, hoses, fittings, cam locks, food traps, valves as well as water tanks in stock and can do all the work for the self containment certification to a high standard. We use quality products so ensure an easy use and longvity of the self containment set up. We will also have the inspector come in to certify the caravan once we have completed the work to make it as easy as possible for our clients. If you prefer to do the work yourself, you can of course purchase the fittings, pipes and more for the self containment of your caravan in our shop. We are proud to be a dealer and official agent for Frankana/Freiko, MOVERA and REIMO in Germany, the largest caravan/camping suppliers in Europe. This means that we have a huge range of caravan products available in our shop and can order in anything out of the thousands of caravan, camping and accessories catalogues from our suppliers. We import directly from Germany. The range is really incredibly wide: from awnings to awning floors, wind out awnings, inner tents/sleeping cabins, caravan parts of all sorts such as water taps, brakeaway cables, submersible water pumps, tabs for your toilet, hot water cylinders, roof lights, windows, fridges, hobs, camping furniture, parts and accessories from Truma, Dometic, Thetford, Fiamma, Waeco, Reich, Thule ... and of course all the Genuine parts for any German caravan including windows for German caravans. In addition, we are a dealer and service point for DOMETIC and also sell and install products from CAMEC. For more information, please have a look under the CARAVAN PARTS or our ONLINE SHOP section. We have more and more items on stock and can import anything out of the catalogue for you. We are now also offering parts for ADRIA caravans. Please feel free to get in touch for any parts or camping gear you would like to order and we are happy to give you a price on it. OUR BUSINESS IS OPEN TUESDAY TO SATURDAY, 9 AM to 5 PM and you find us on 219 Old Coach Road in Mahana, Upper Moutere, Nelson.